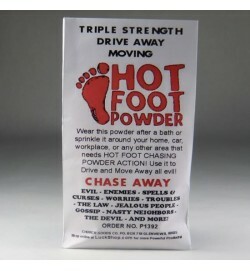 Triple Strength Drive Away Moving Hot Foot Powder is formulated to Chase Away any unwanted person, entity, or spirit from you and your home. Just Sprinkle in your yard, house, car, or workplace and make them go away - far and fast! Is someone in your life bothering you and will not go away? Nosy neighbors talking about you? Evil lurking in your home? Spirits haunting your family? 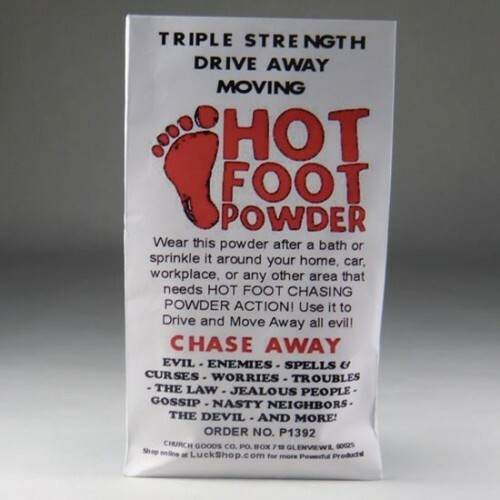 Stop all of that nonsense with Hot Foot Powder!! Sprinkle around your home to keep those pesky people and evil away from you!